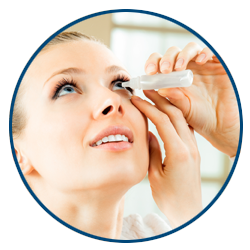 At EyeSymmetry Vision Center, we understand the importance of optical health. Our eyes are our window to the world, and provide us the ability to live a clear daily life. Dr. Moshe Schwartz, O.D., F.A.A.O. 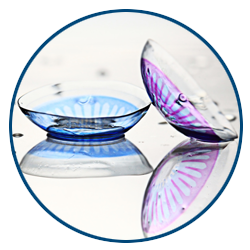 at EyeSymmetry utilizes the latest medical technologies and combine them with the best individual patient care to provide the highest level of service. We offer comprehensive annual eye exams, consultation, testing, vision therapy, customized lens prescriptions, treatments for multiple different eye disorders, and family vision care for Owings Mills and Baltimore area residents. Routine and annual eye exams are the key to preventing future diseases, many of which have little to no symptoms at all. Let us protect your vision before irreparable damage is done. 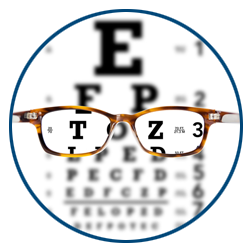 During your eye exam, your doctor will complete a personal evaluation to identify your individual visual needs. We look for glaucoma, macular degeneration, dry eye, cataracts, and vision-related learning disabilities, like visual processing disorder. Whether you need a new prescription for your recently diagnosed myopia or specialty lenses to enhance your performance as an athlete, Dr. Schwartz and his team of experienced eye care professionals are here for you. 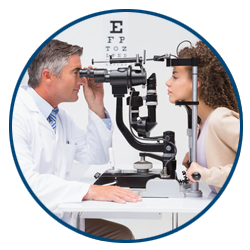 Don’t wait for your vision to worsen – schedule your comprehensive eye exam at EyeSymmetry Vision Center today. Many parents don’t realize the importance of early childhood eye care. There are a surprising amount of issues that can affect the eyes of our children, and many if left untreated can cause even bigger problems in adulthood. Dr. Moshe Schwartz, O.D., F.A.A.O. 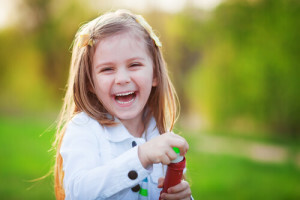 at EyeSymmetry is well versed in the examination and diagnosis of pediatric eye conditions. In addition to looking for any of the issues above, Dr. Moshe Schwartz, O.D., F.A.A.O. will test visual acuity. This tells us whether or not your child will benefit from wearing prescription eyeglasses. Eye examinations for children, from early childhood until their teenage years, are extremely important to ensure healthy eye development. Bringing your child to regular eye examinations ensure that any eye conditions or diseases are caught and treated as fast as possible. If you are searching for the right pediatric eye doctor for your family, call Dr. Moshe Schwartz, O.D., F.A.A.O. at EyeSymmetry Vision Center in Owings Mills today!